Custom Danger Aluminum Sign - 12" x 18"
Perfect for all construction areas, job-sites, and areas with dust issues, this Dust Inhalation Hazard Health Aluminum Sign is made of durable aluminum and built to last. 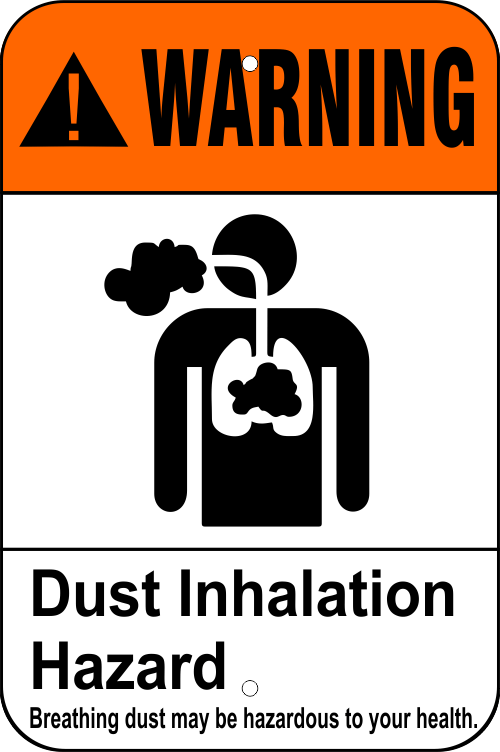 Inhaling dust can be extremely hazardous to your health and may even cause fatality. For your sake, and the sake of others, conspicuously post this sign is dust problem areas. Order your heavy-duty aluminum sign from us today!